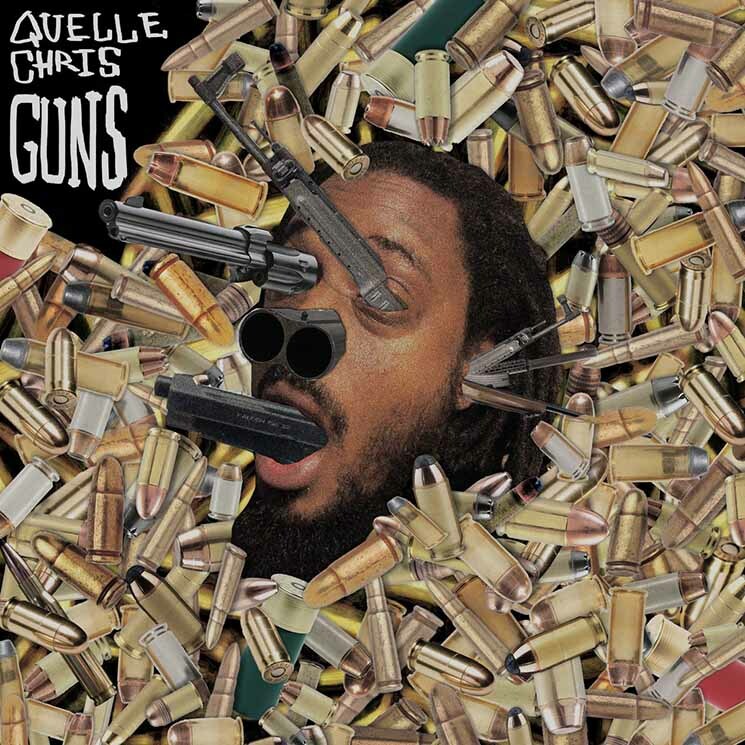 Sure, Quelle Chris raps like the rewind button was invented just for him. But even as you scramble to back up the track to that last intricately spit line that you're dying to make better sense of on his new LP Guns, your less cerebral side won't be able to deny the album's more accessible qualities. That's not to say the Detroit MC's latest belongs on your easy listening playlist, by any means. But Quelle laudably balances his headier qualities with instrumentals that are never less than attention-grabbing, and occasionally are even catchy and bordering on mainstream. There's the elegantly jazzy piano line on "Wyrm," for instance, or the ear-wormy keys and humming synths on "Obamacare." Less accessible, but nevertheless show-stopping moments occur on the opening track "Spray and Pray," where he spits the lithe and limber line "We load up, lift and shoot" in a croaking, menacing tone over sauntering percussion. "Mind Ya Bidness" succeeds in similar regard because of its gurgling horns and Super Nintendo-like chiming synths, which all back up Quelle's socially conscious rhymes about driving while black.